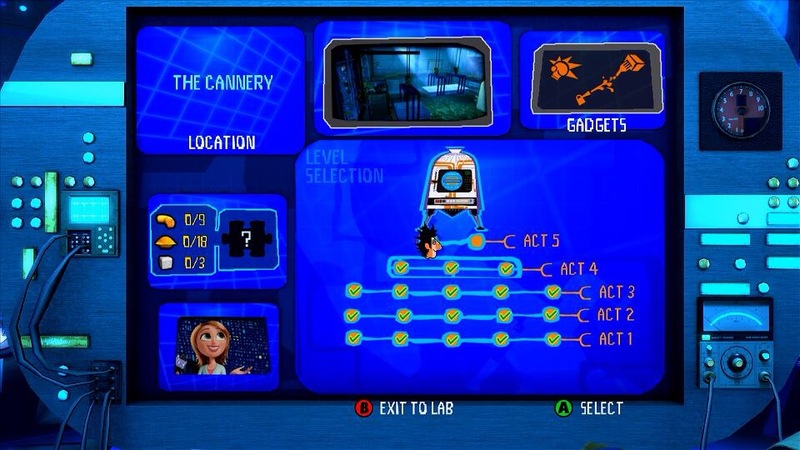 You’re in control of Flint Lockwood, who has created a food making machine named “Flint Lockwood Diatonic Super Mutating Dynamic Food Replicator” (FLDSMDFR) – say that 10 times fast. Long story short, FLDSMDFR has spun out of control, and it is your job to stop it. But your task isn’t easy. You have to avoid gigantic meatballs, hot chili sauce, large popsicles, strands of spaghetti, floating waffles, and a variety of other overly large foods. There are Five Acts, and five levels in Acts 1 – 3, with three levels in Act 4, and two levels in Act 5. Each level has a different character from the movie – Sam Sparks, Cal Devereaux, Flint’s Dad, the mayor, and Earl Devereaux. Each character has a different dilemma, and they all appear once per Act in Acts 1 – 3. You’ll encounter a wide range of enemies from gummy bears to gigantic strawberries. 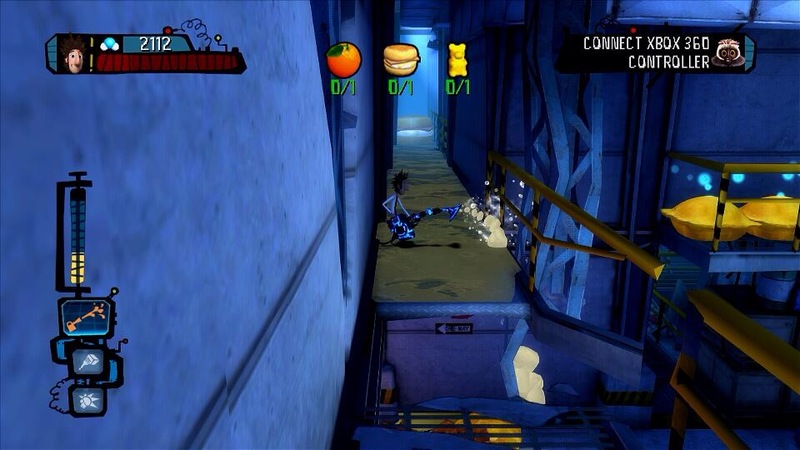 Fear not, Flint Lockwood has multiple weapons to handle all of the deranged food. You have a fork, vacuum, suction vacuum, gigantic fist, and a heat gun. You’ll fork spaghetti, melt ice cream, vacuum hot sauces, and spit out goo to dominate your enemies. For the most part, controls are good enough to not be annoying, but it’s nothing like playing a Mario game. Does this remind you of Portal 2? Some of the goos might remind you of Portal 2. There are also weapon upgrades and unlockables. There’s no real strategy to upgrading your weapons. As you complete a level, you’ll be asked to upgrade a weapon. They hold your hand through the upgrade process so you can’t really build a specific weapon up before another. There’s an upgrade tier for every world, so after you complete a world, you’ll have all of the upgrades unlocked for that tier. There’s no way to progress in tiers past the world you’re on. 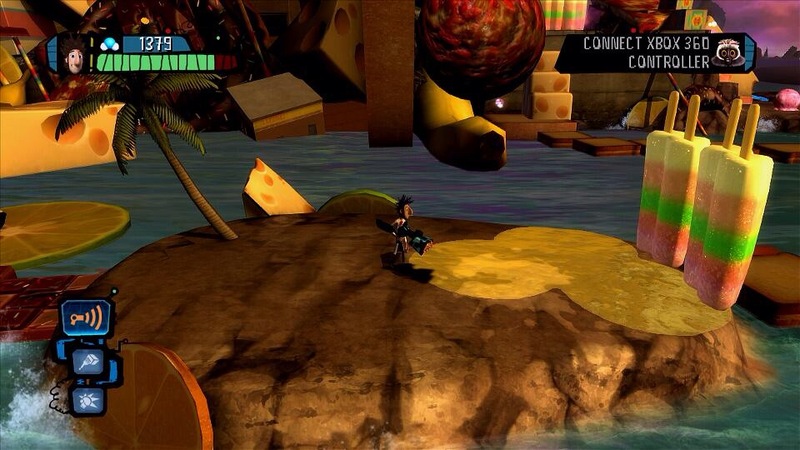 It was really fun playing as Flint Lockwood, beating up gummy bears, and exploring levels that were built with gigantic pieces of food. 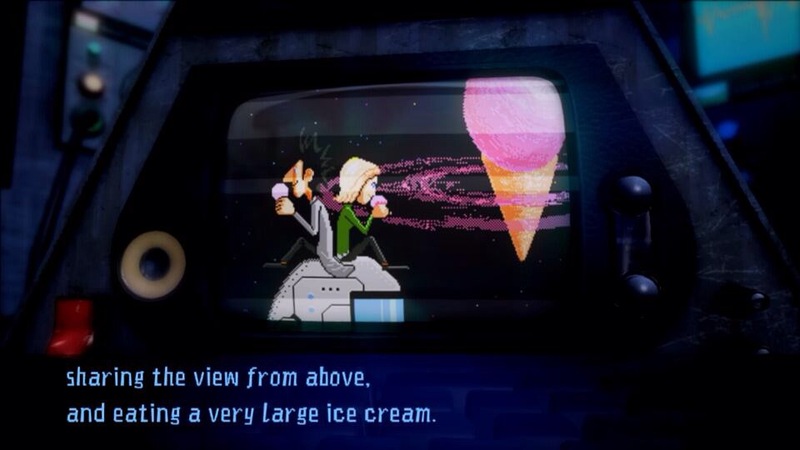 Cloudy With A Chance Of Meatballs has some awesome level design, fun weapons, and entertaining dialog to keep anyone engaged in an enjoyable time. If you have younger kids, Cloudy With A Chance Of Meatballs is a great title that both young and old can enjoy.